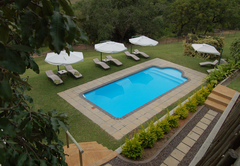 Chestnut Country Lodge is a highly recommended Kiepersol Bed & Breakfast providing accommodation in 13 guest rooms for tourists visiting the Panorama Route region. 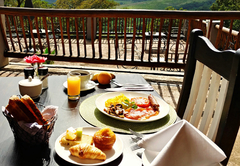 The Chestnut Country Lodge boasts magnificent mountain and valley views, together with luxury accommodation and fine dining. 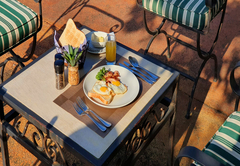 Guests can enter into the Kruger National Park either by the Numbi Gate, Phabeni Gate or Paul Kruger Gate, all within 20 - 45 minutes drive from Chestnut Country Lodge. 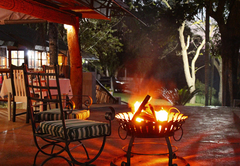 Morning, Afternoon, Full-day or night-safaris can be arranged with local safari operators whose skilled game rangers and trackers can show you some of South Africa’s best game viewing. 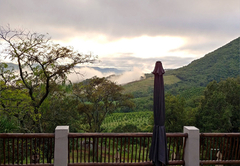 Back at Chestnut Country Lodge, guests may take a leisurely walk on our 48 hectare farm and visit the beautiful look-out point called Leopard Rock which provides magnificent views down the Sabie Valley towards Hazyview. 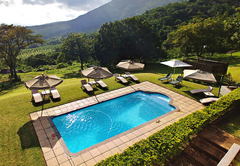 Other recreational activities in the area include, river rafting, horse-riding, Abseiling, walking trails, kloofing, microlite flights, hot air ballooning, 4-wheel drive skills course, trout fishing in the Sabie area as well as a number of international standard golf courses to choose from nearby. 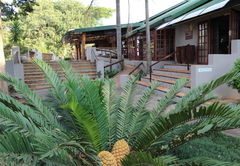 Our facilities include a large swimming pool surrounded by a wooden pool deck overlooking fabulous views which gives you the feeling of sitting among the trees - an ideal spot to grab the binoculars and birdwatch! A resident brown-hooded kingfisher is a delight to watch as he bathes in the garden birdbath! 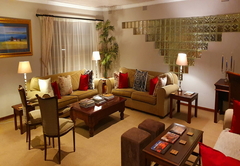 The cosy bar and lounge (with satellite TV) is also a comfortable place to relax at the end of a day for a sundowner or drinks before dinner. 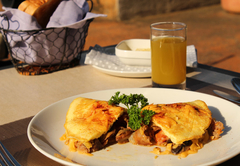 Our 3-course table d’hôte meal is prepared using only the freshest of herbs, vegetables in season and quality meats, fish and poultry for our discerning guests. 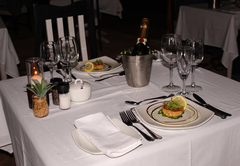 We also welcome pre-booked outside dining guests who may be looking for that special place to enjoy an evening out in quiet, ambient surroundings. 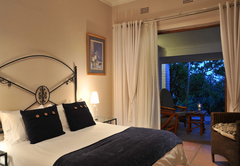 The Lodge offers 8 tastefully furnished double or twin-bedded en-suite bedrooms. 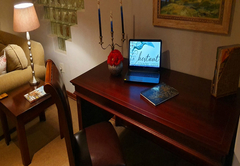 A further 4 spacious Luxury Suites comprising a separate lounge area within the room and ensuite bathroom with separate shower and bath are also available. 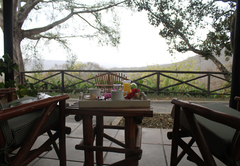 The large covered patio offers a relaxing place to sit and enjoy the magnificent views down the Sabie Valley. 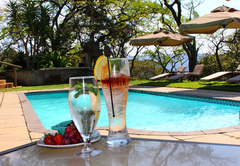 The newly appointed Chestnut Suite is ideal for honeymoon couples and romantic week-ends away. 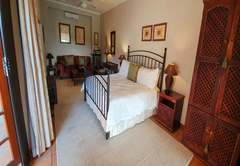 This Suite offers a king-size bed, luxurious leather lounge suite, a large bathroom with bath for 2 and his and her basins. 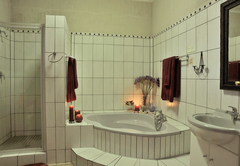 A privately enclosed outside patio with shower finishes off this beautiful suite. 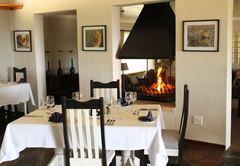 The Lodge can accommodate up to 26 guests in spacious comfort. 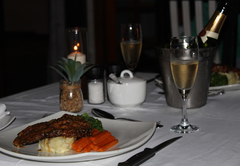 Chestnut Country Lodge would like to host your small and intimate wedding or function. 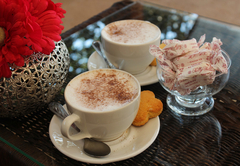 As we can accommodate up to 26 guests on a sharing basis, Chestnut Country Lodge is ideal for small and intimate weddings where we can offer exclusivity to you and your wedding party. 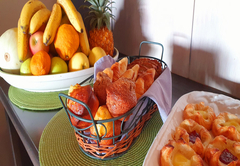 The Lodge is ideal for outdoor weddings offering the boma to hold the ceremony and then up at the pool deck for your breakfast, brunch, lunch or evening dinner where you can enjoy magnificent valley views. We can organise your entire wedding including, the Minister, Photographer, Hair-dresser, music, catering and full bar, wedding cake, etc. Should you wish to have a cultural experience with a Shangaan Choir or Gum-boot dancers, this can be arranged. As weather is an important aspect of the success of your wedding, a marquee may be erected to ensure you and your guests enjoy this important day. There are many activity and adventure activities available in the area including Hot-Air Ballooning, River Rafting, Quad-Biking, Abseiling, Bridge Swing, Coffee Farm Tours, Helicopter Flights, Horse Trails, Microlight Flights, Mountain Biking, Panorama Tours, Dawn, Full-Day and Night Safaris, Tubing and many more. Visit one of the Endangered Wildlife Rehabilitation Centres and learn more about Animal and Birds of Prey Rehabilitation. 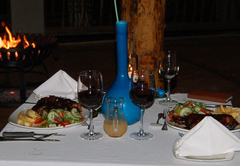 All of the above adventure activities may be booked with us. Standard room with 2 single beds side by side, bathroom en-suite, air-conditioning, overhead ceiling fan and patio with chairs and table. Tea and coffee making facilities in the room. 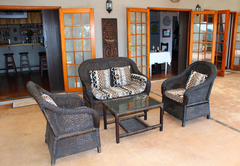 Standard room with a Queen size bed, bathroom en-suite, overhead ceiling fan and patio with chairs and table. Tea & coffee making facilities in the room. Luxury suite with 2 single beds side by side, lounge area, bathroom en-suite (separate bath and shower), overhead ceiling fan and patio with chairs and table. Tea & coffee making facilities in the room. An extra single bed can be added. 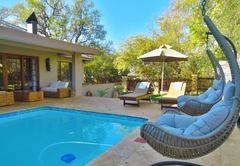 Luxury suite with king size bed, bathroom en-suite (separate corner bath and shower), overhead ceiling fan and privately enclosed patio with deck chairs and table and outside shower. Tea & coffee making facilities in the room. Great hospitality - ambience. Beautiful place for getaway and serenity. Must visit again. Great food. Thank you to Christine and her exceptional staff, my birthday weekend with our friends was phenomenal. Once again a wonderful and most enjoyable week was enjoyed by all. 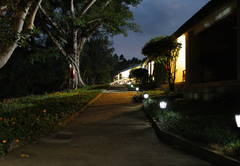 AAA service, accommodation, cuisine and breath-taking view. Highly recommended!!! Response timeChestnut Country Lodge typically responds to requests in 5-10 minutes.